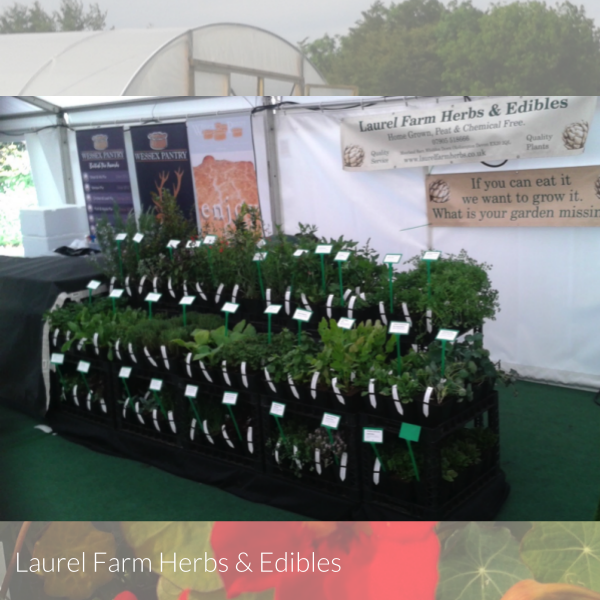 Laurel Farm Herbs & Edibles was started by Chris Seagon in April 1985 in Suffolk but in August 2013 we moved the nursery lock, stock and barrel 350 miles to Whiddon Down near Okehampton in Devon. We moved to a greenfield site and started to build a new nursery in September 2013. We grow the majority of our stock from cuttings and seeds and everything is grown in peat free compost without the use of chemicals, pesticides or heat. We do however use a slow release fertiliser which enables us to grow strong healthy plants. We specialise in culinary herbs and edible garden plants and are always on the lookout for more unusual and different edibles.